E.T. 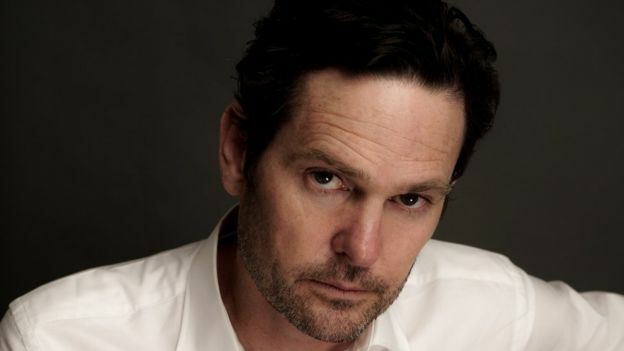 star, Henry Thomas who played Elliott in the 1982 Steven Spielberg classic has appeared on BBC Radio Wales to talk about his Welsh roots. "We were always told that we were Welsh. We just didn't know from where," he told BBC Radio Wales' Good Evening Wales programme. "In 2009 I sent off for a kit and I did a DNA test and I connected with a few people that I was related to and I found out a lot more information through them because my family had been in America for quite some time," he said. "My dad's family comes from the north and my mother's family comes from somewhere around Carmarthenshire." "Whenever I have an opportunity I catch a train and go to Wales and hire a car and drive around," he said. He worked on one film in Wales, shot in Manorbier, near Tenby, Pembrokeshire, called I Capture the Castle, and says he would love to work more in Wales. The actor also revealed he had learnt a little Welsh. "With the advent of the internet it became a lot easier. Before, I had to send off for a language book and some cassette tapes," Thomas said. "And so I would sit there, driving across country, and I would put the tape on and practice. "So I had passable Welsh - when I arrived in Wales I could ask where the toilets were and things like that which was very useful."